Step right up and try your luck at over 45 fun games! 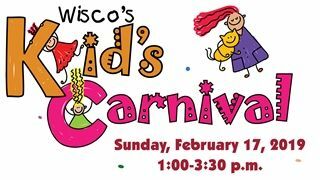 Wisconsin Lutheran High School will be hosting the Kid's Carnival on Sunday, February 17, from 1:00-3:30 p.m. Children age 3 through fourth grade are invited to play games, meet live animals and participate in other fun activities. Each $3 admission receives 20 play tokens, or $5 gets you 20 tokens and admission to a magic show in the auditorium as well as entrance into a bounce house in the multipurpose gym. The magic show is at 1:30 and 2:30 p.m. Concessions will be available for purchase. Parents and grandparents are admitted free of charge and encouraged to bring their cameras for some great photo opportunities.